The EOS M50 is Canon’s newest (as of February 2018) mirrorless interchangeable lens camera. This camera sits just above the M100, which is the entry model for the mirrorless lineup. The features of this camera make it a great blend of the flagship EOS M5 with an Electronic Viewfinder (EVF); traditional DSLRs with the articulating screen like the EOS SL2, EOS T7i, EOS 80D and full-frame EOS 6D Mark II cameras. You’ll want to use it as an everyday camera that you can slip into your bag, as well as for blogs or vlogs. 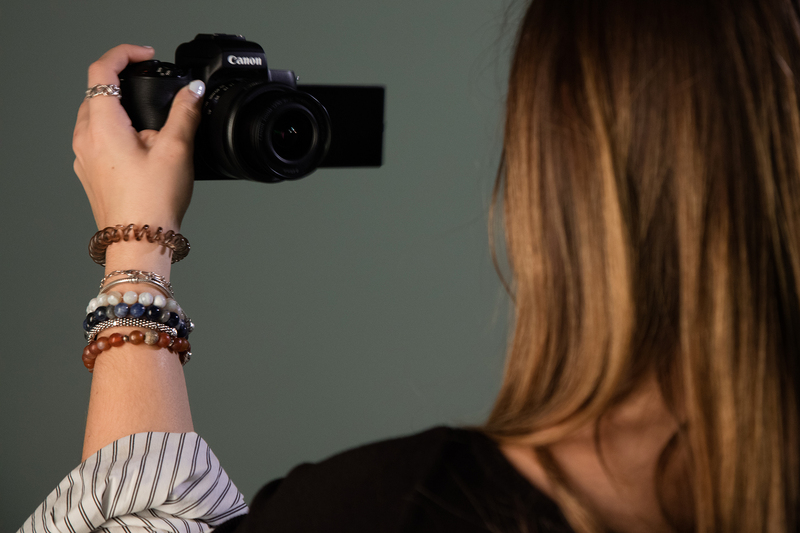 Even if you are just getting started with an advanced interchangeable lens camera, the M50 makes it really easy to get different looks in-camera. Just tap the paintbrush with the color wheel around it to get started. Here you can change effects like background blur, saturation, and tones; and even save them as a preset for later on. 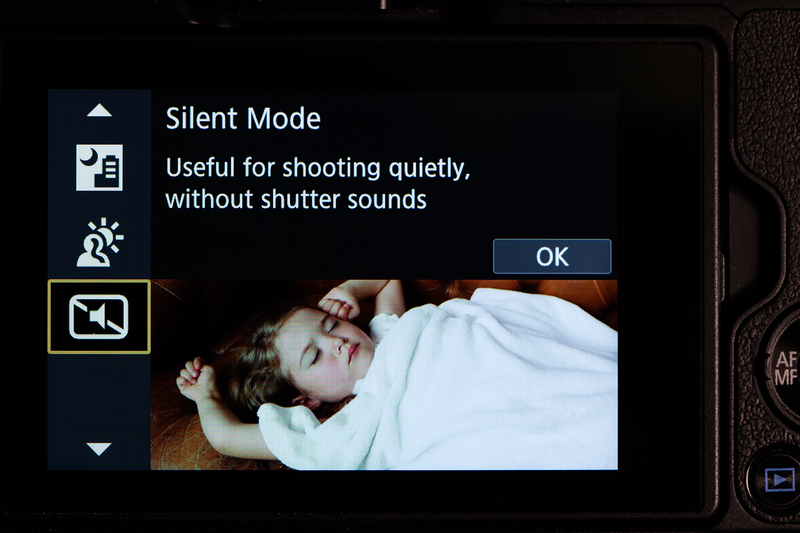 The M50 has a silent shutter mode found in the scene (SCN) settings. 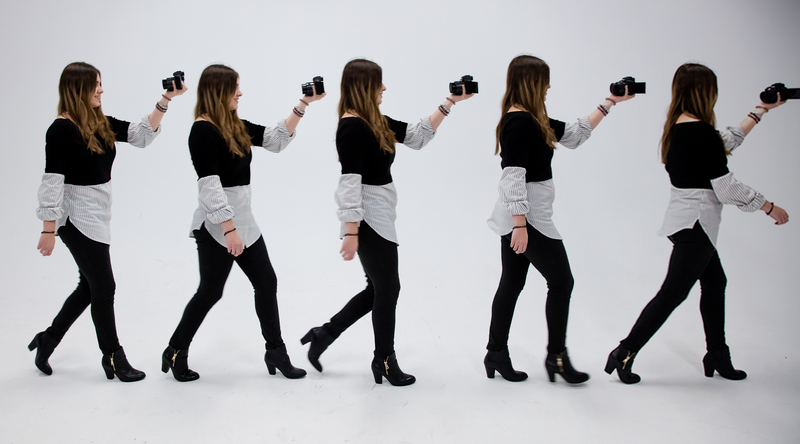 This is great if you need to be stealthy while taking a candid picture. Try it for animals, insects, street photography or kids to name a few. 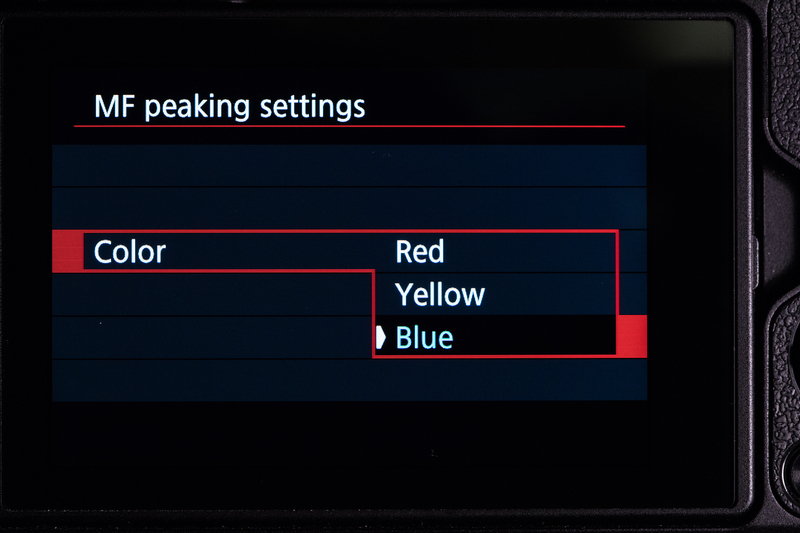 This is one of those features on a camera that you don’t know you need until you have it. It is extremely useful for photography as well as vlogging. To get those unique angles, you usually have to either get really low or really high. With a twist of the screen, it is easy to see and focus. 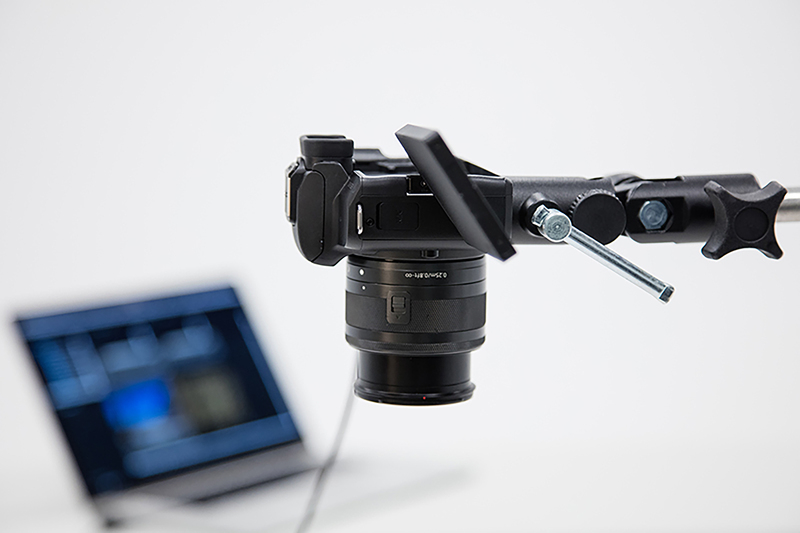 For vlogging, the Vari-angle screen makes it super simple to attach a grip to the tripod socket as well as a boom mic like the Canon DM-E1 in the camera’s hotshoe while still being able to see what is in frame. The EOS M50 increases the area used for Dual Pixel CMOS AF so that you now have 8% more width coverage and 20% more height coverage, with compatible lenses. What’s more is that the M50 also includes Eye Detection AF. It’s active whenever your AF Method is set to Face Detect + Tracking. 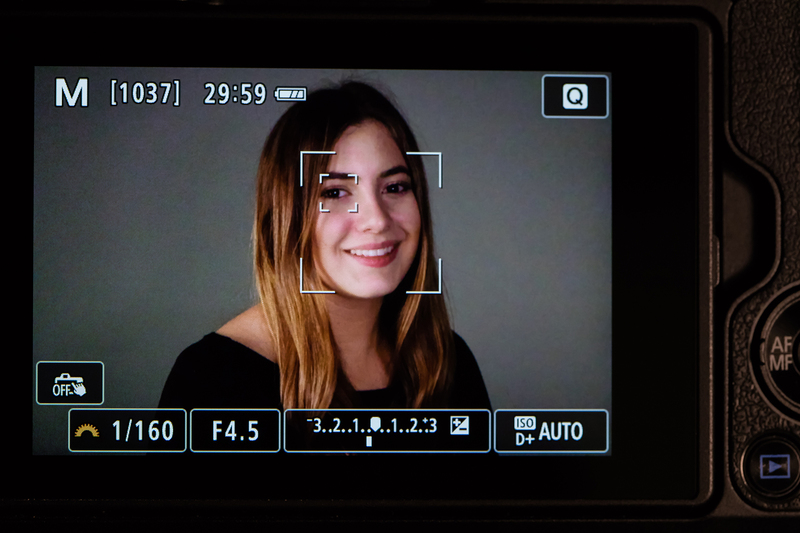 This feature will find and track a face, then put critical focus on the closest eye to the camera. 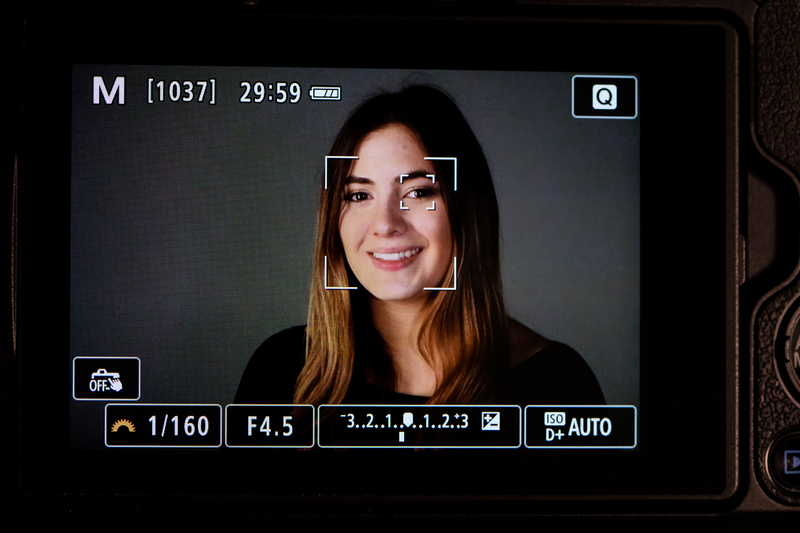 This will work well for portraits with shallow depth of field as you’ll have confidence knowing that the eye is sharp. Highlight Tone Priority has always been very good for bringing out details in scenes where they would normally be blown out. Think of the beading on a wedding dress or clouds on a high contrast day when you want to expose for a darker object. The D+2 cranks it up once more so that it further minimizes washing out bright highlight detail. Manually focusing by zooming in at 10x on a macro subject is already hard. Trying to focus on a bright sunny day makes it so much harder when the bright sun washes out the rear LCD screen. 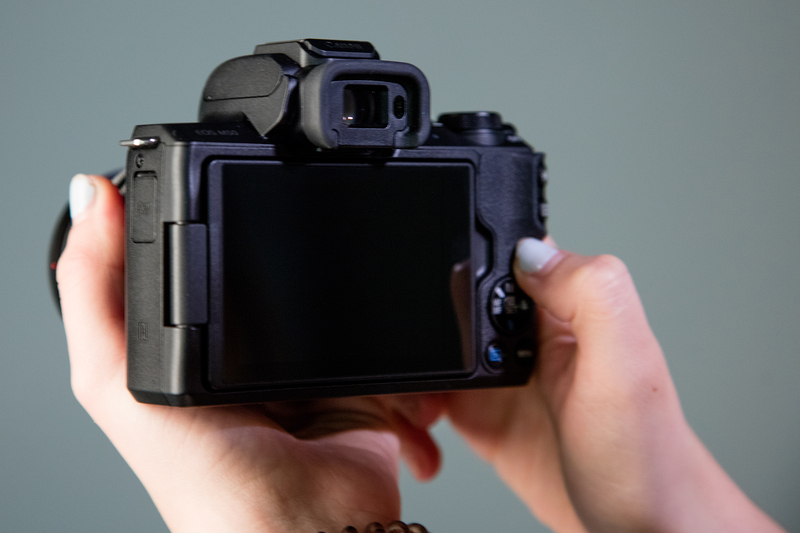 Using electronic viewfinder or EVF on the EOS M50 can help to combat the sun, as well as adding in a third point of contact. 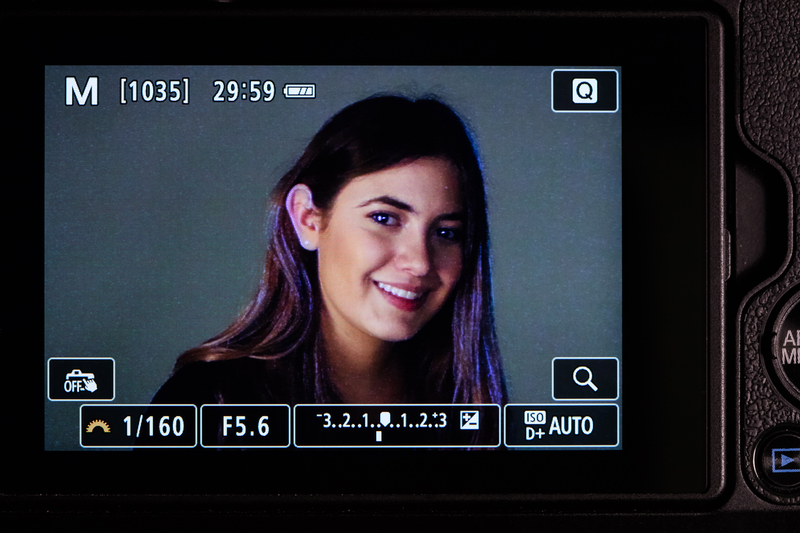 Throw in focus peaking and 10x zoom IN the EVF and now you have a powerful tool when photographing subjects. Focus peaking (which can be red, blue or yellow) can visually aid in what is sharp by outlining what is actually in focus. Need more confirmation of what is critically sharp? Press in the AF Point Selection button, turn the main dial, and the EVF will show 5x then 10x magnification of the subject. 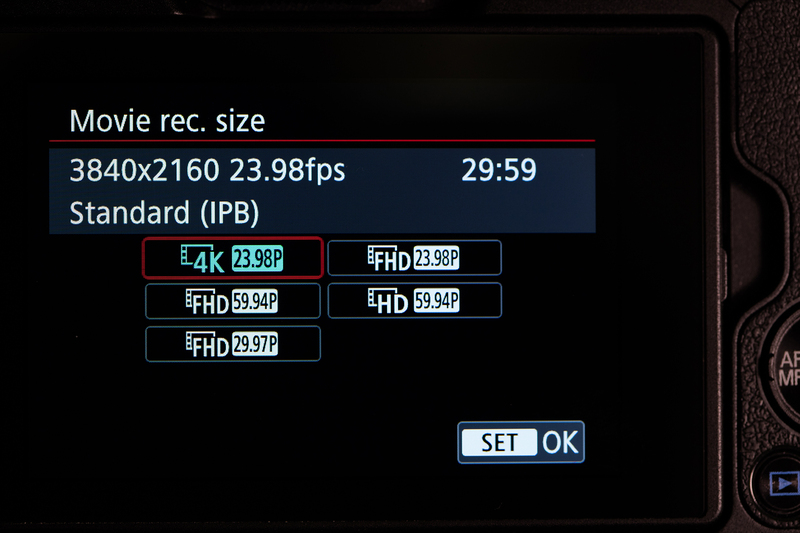 For the first time in a Canon mirrorless camera, the M50 includes 4K UHD recording at 23.98p and 25p. Vloggers who finish in 1080p will appreciate that they can shoot their b-roll in 4K for extra room for post stabilization, punching in, or post slide effects without degrading their image. Focus peaking is also active when using manual focus here as well. As with still photos, you are able to quickly see what is in focus by what is outlined. This is really handy when you are doing subtle rack focus moves. 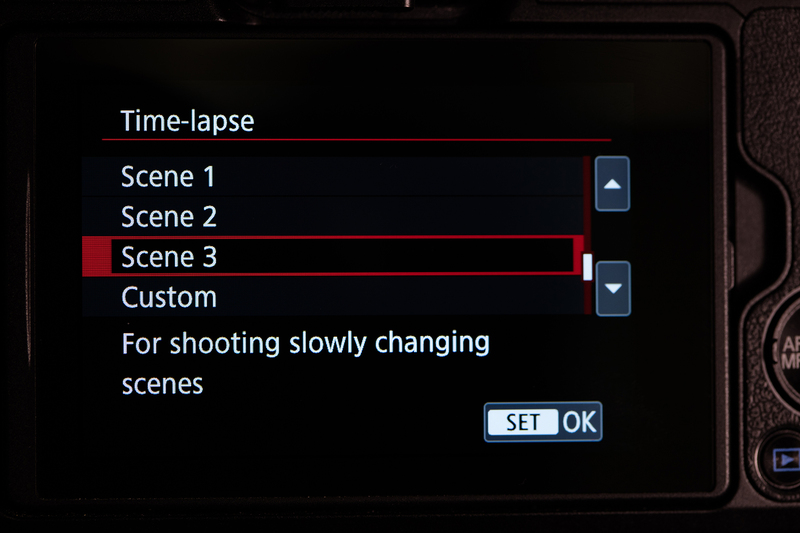 Capturing time-lapse movies makes for creative transitions between scenes because it enhances the passage of time. With the EOS M50, you can capture 4K time-lapse movies in-camera without any extra software needed. 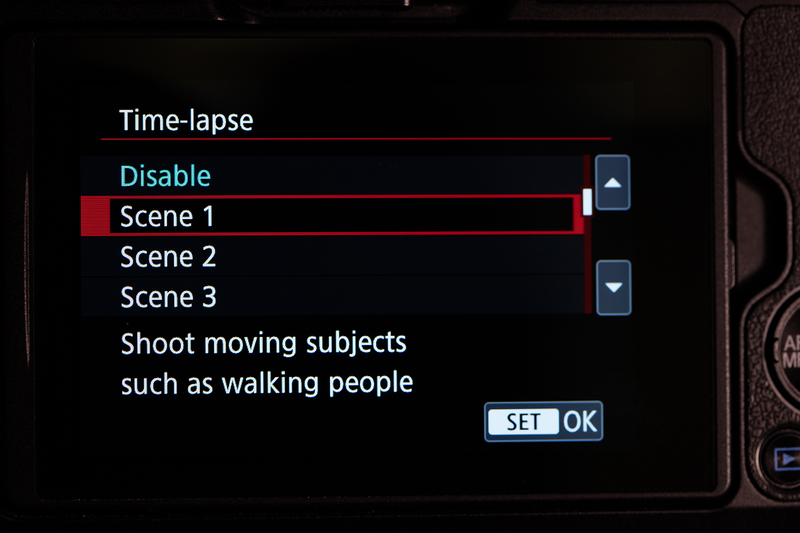 Instead of you having to calculate the formula for time-lapse, which is (duration x fps) / (hours x 60 x 60), the camera now will do calculations for you and splits them into 3 common scenes and a custom setting. 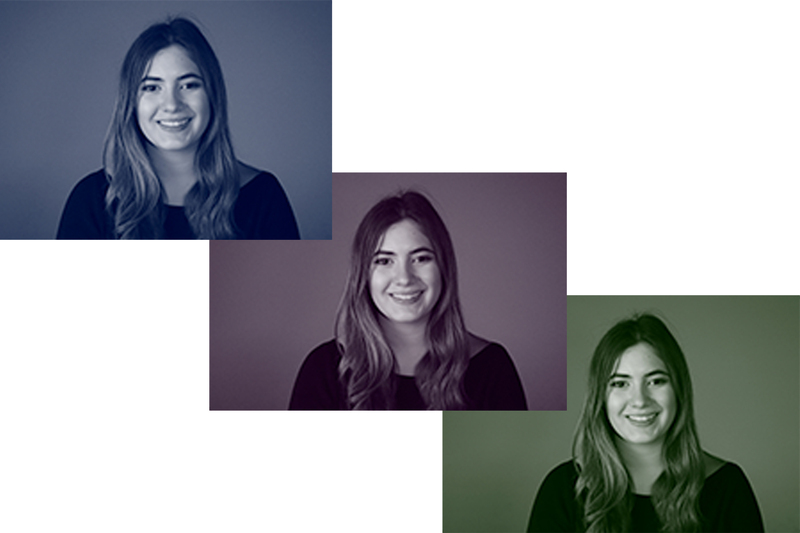 What is really interesting is that you are able to now choose if you want the camera to automatically change exposure for only the first frame in the sequence or each frame. 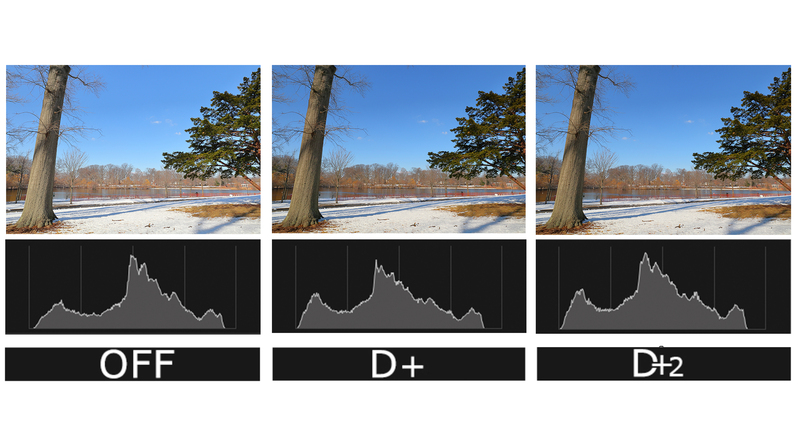 This is really handy when you have varying exposures such as from night into day, where traditionally you would have to do a technique called bulb ramping. Having enhanced digital IS on the M50 helps when you are walking with the camera while vlogging. 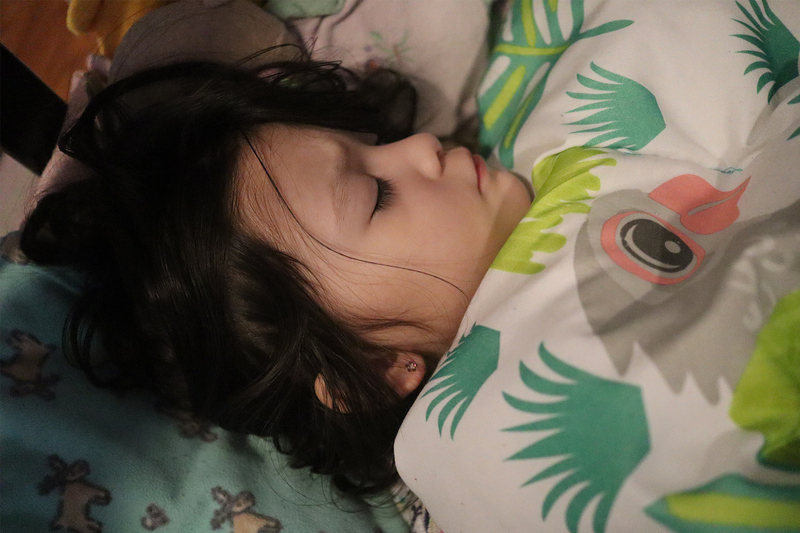 Even when using a lens without IS, the in-camera digital IS can still be activated. This is great when using the optional Mount Adapter EF–EOS M with an EF or EF-S prime lens. With certain EF-M or even some EF-S lenses, you are able to combine the lens’s optical Image Stabilization WITH the in-camera IS to enhance the effectiveness of stabilization. The EOS M50 has the ability to continuously send images to your smartphone while you are shooting. You are then able to see at a glance what you have taken, what is sharp and what can be transferred to social platforms later on. 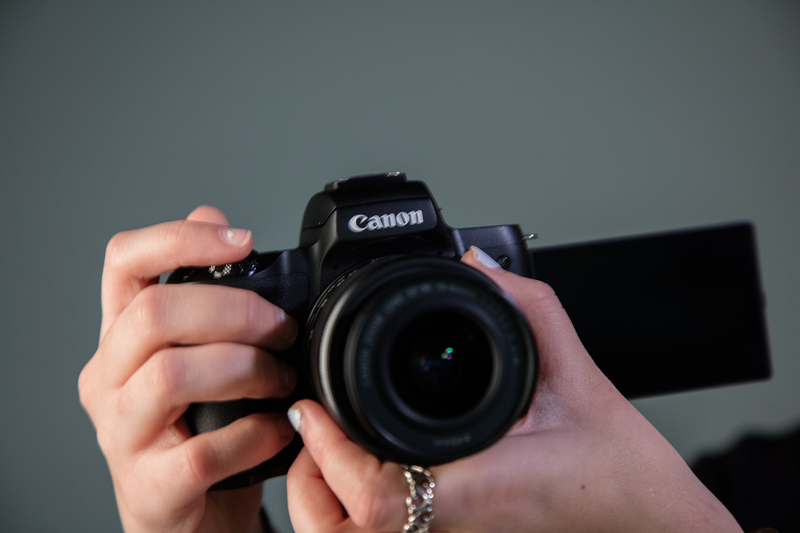 The camera is also the first EOS M-series camera that can also take advantage of Canon’s EOS Utility software, so that you are able to be tethered to a computer and use the large screen of your computer to accurately grab focus and fire the camera. This is great when you are shooting flatlays at home, where the camera is at an awkward position. Nearly all camera functions are available with EOS Utility and you can even fire the shutter from the software as well!